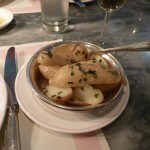 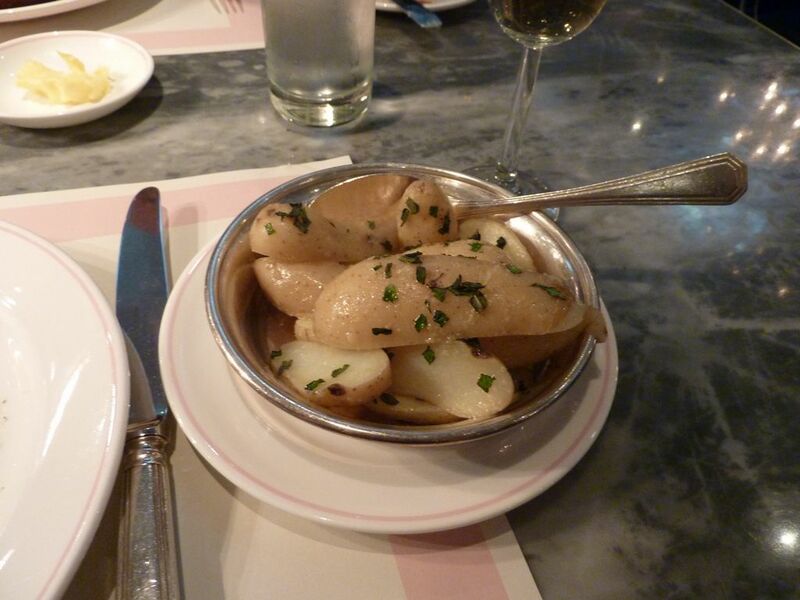 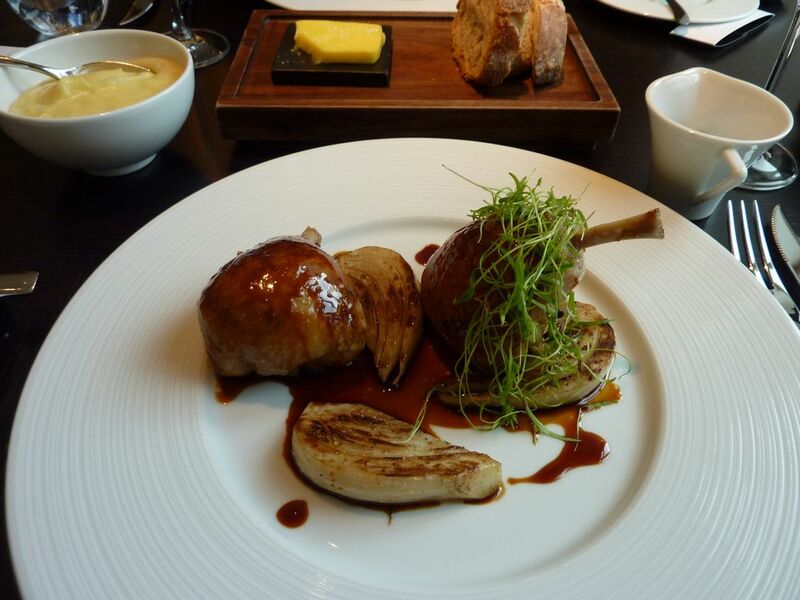 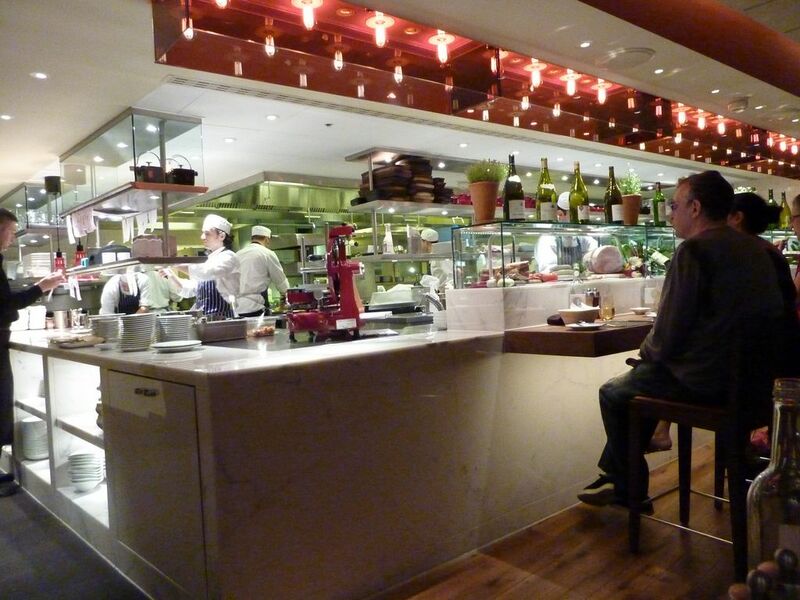 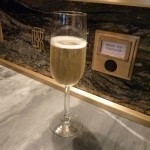 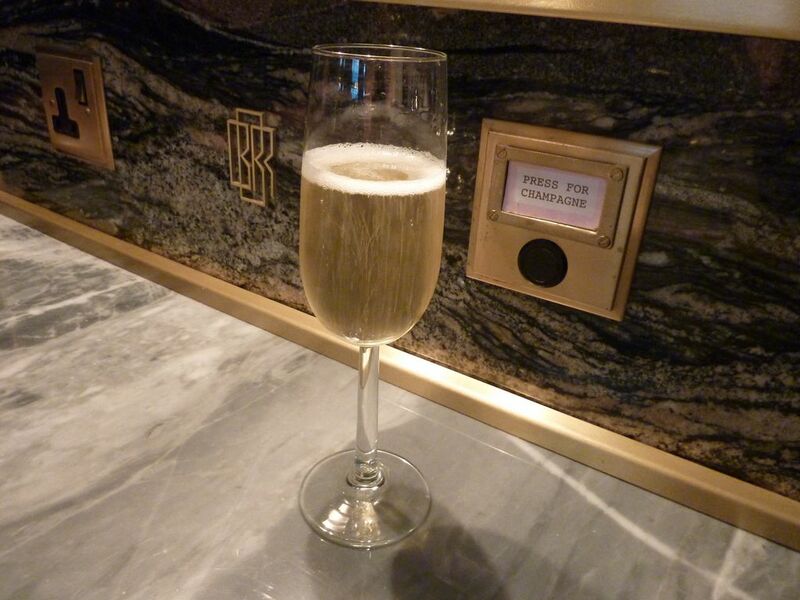 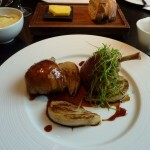 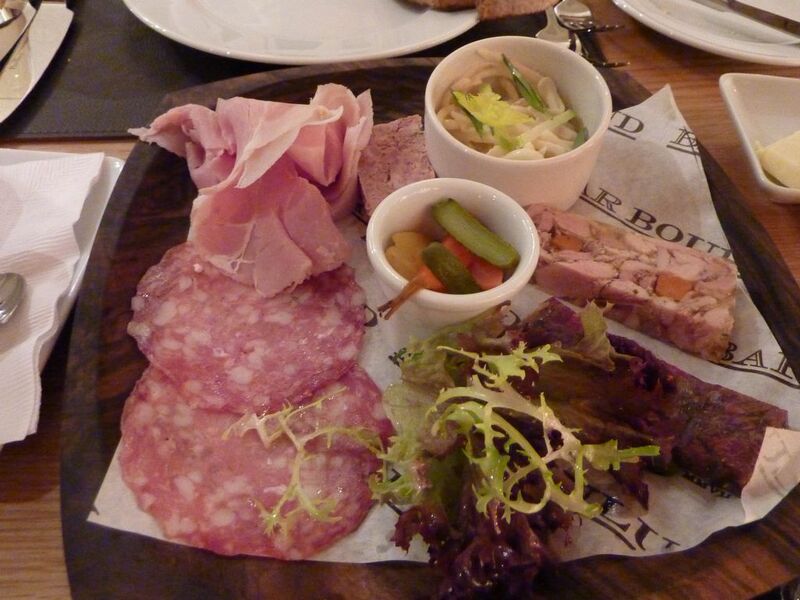 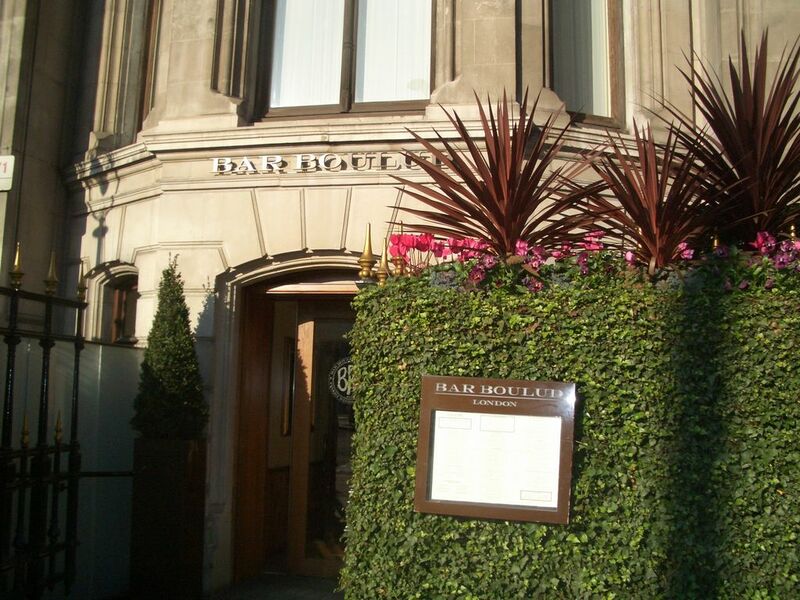 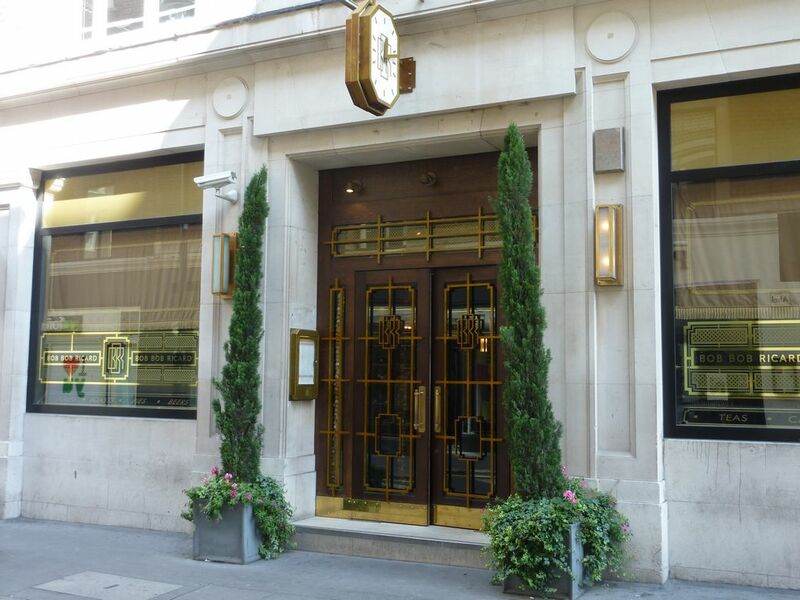 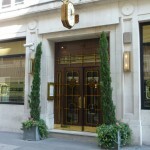 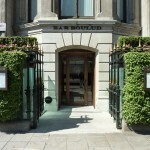 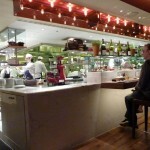 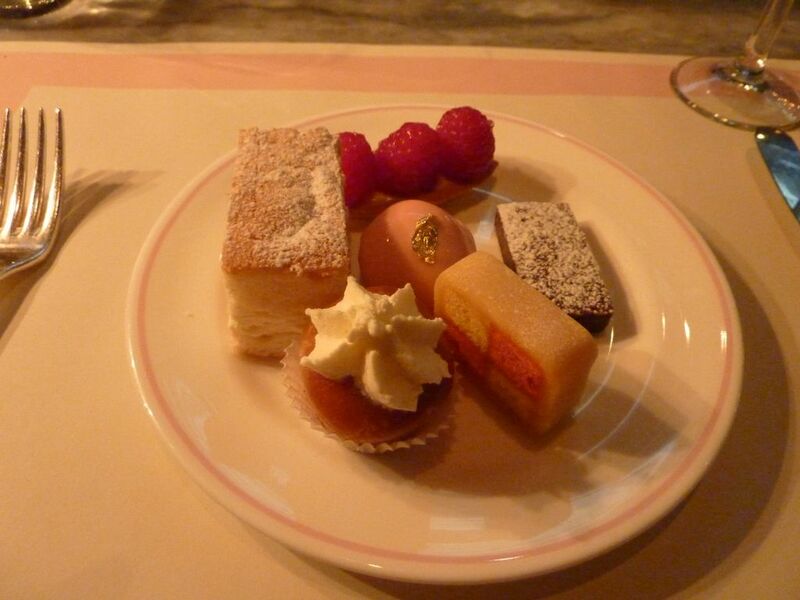 Located in the basement of the Mandarin Oriental Hotel in Knightsbridge is Daniel Boulud’s London outpost Bar Boulud. 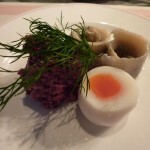 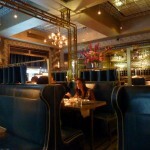 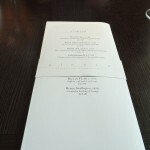 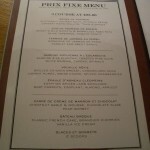 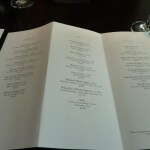 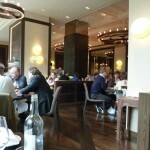 I had lunch there just after it opened – see post Bar Boulud – Busy! 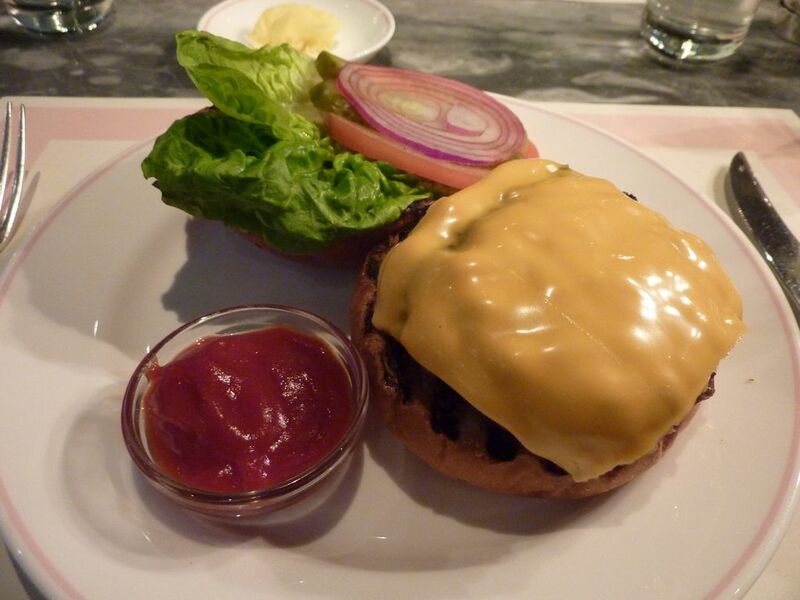 Buzzy!Burgers! 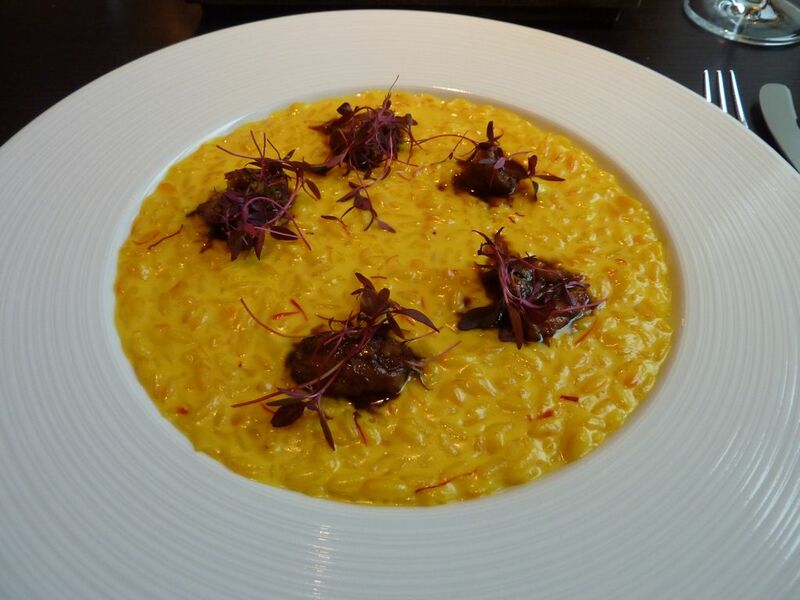 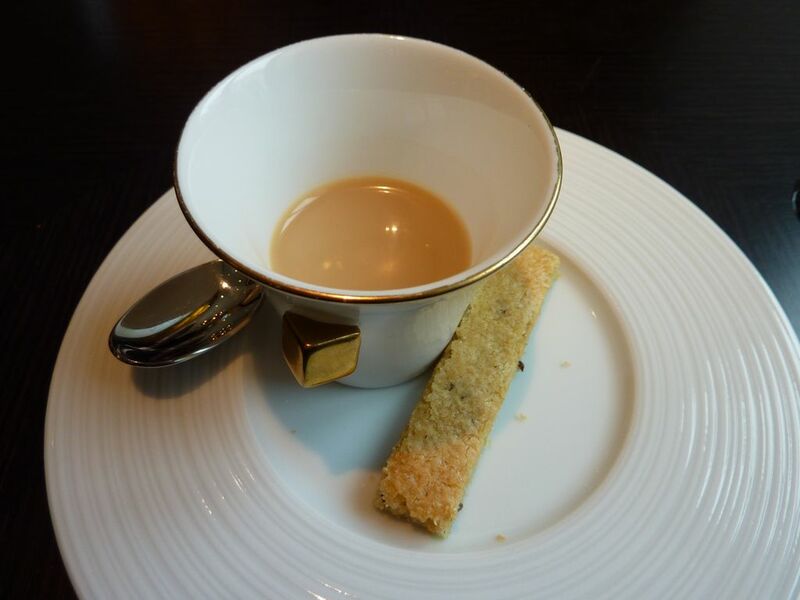 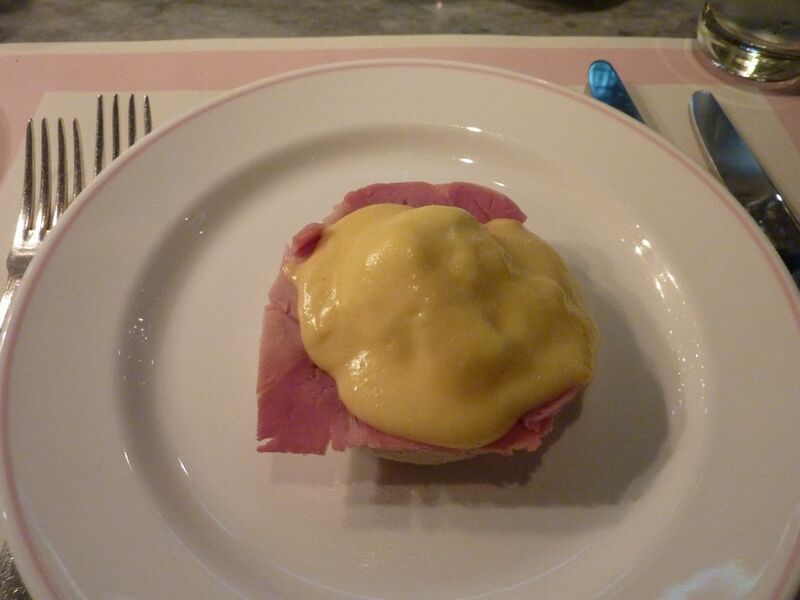 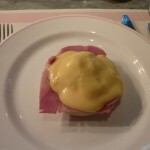 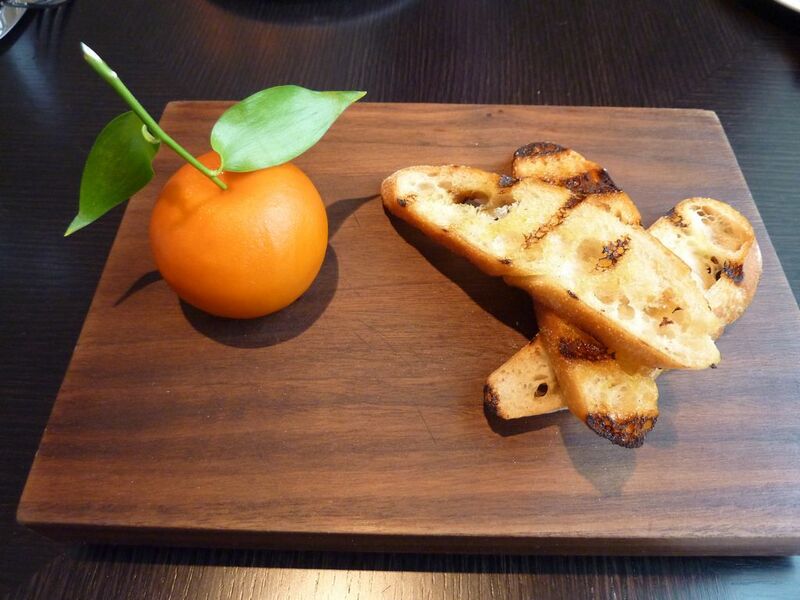 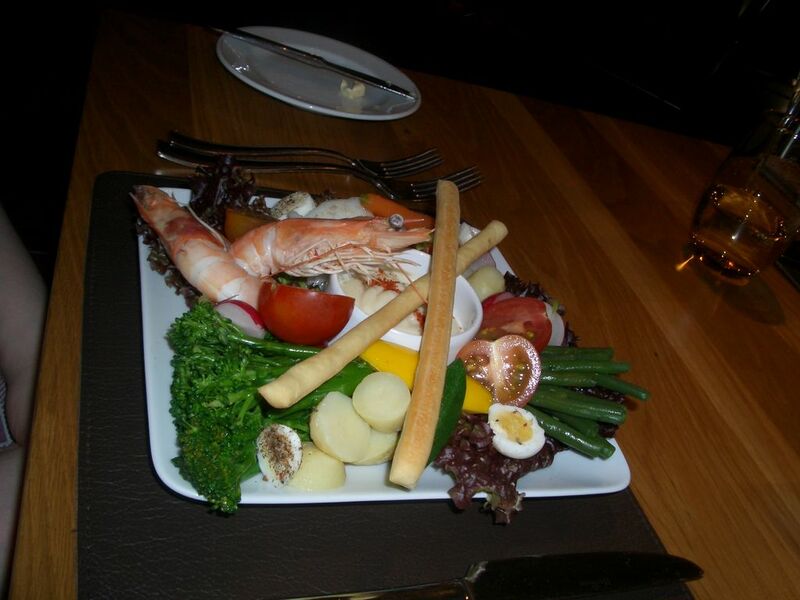 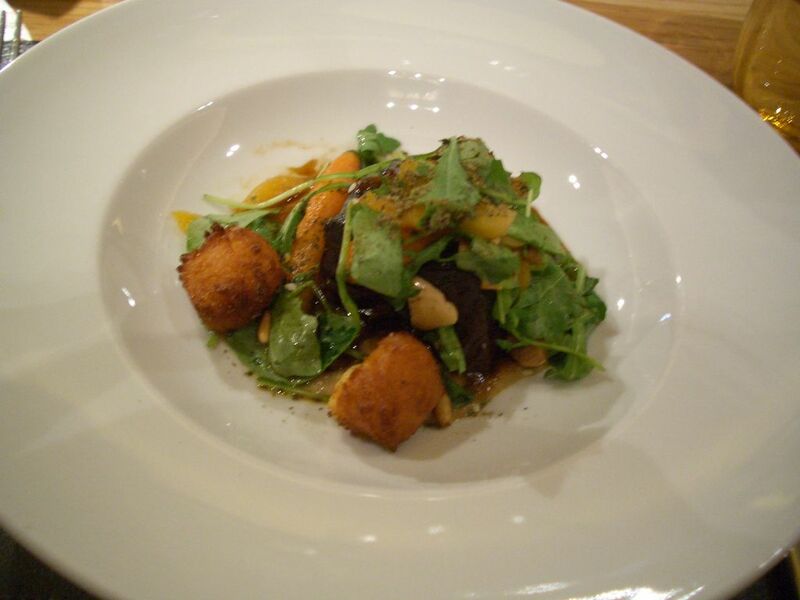 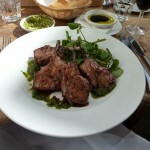 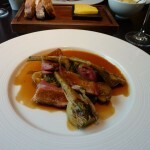 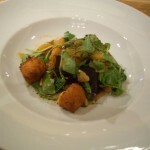 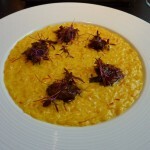 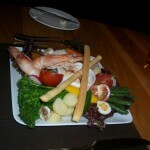 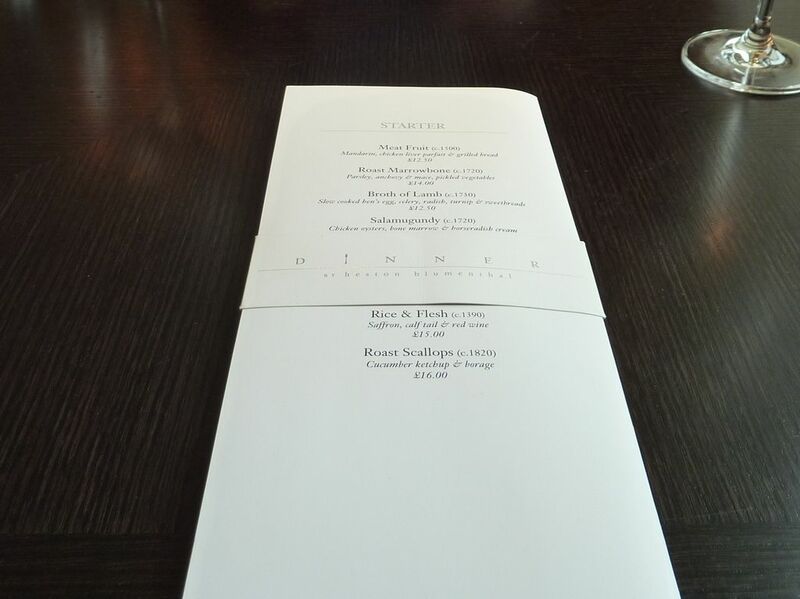 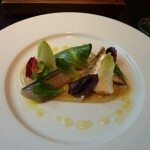 I enjoyed it on that visit and certainly thought about returning to try more from the Bistro inspired menu. 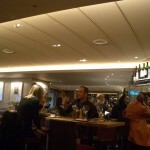 It’s amazing to think that was over 18 months ago and I am only now returning, this time as part of a larger group. 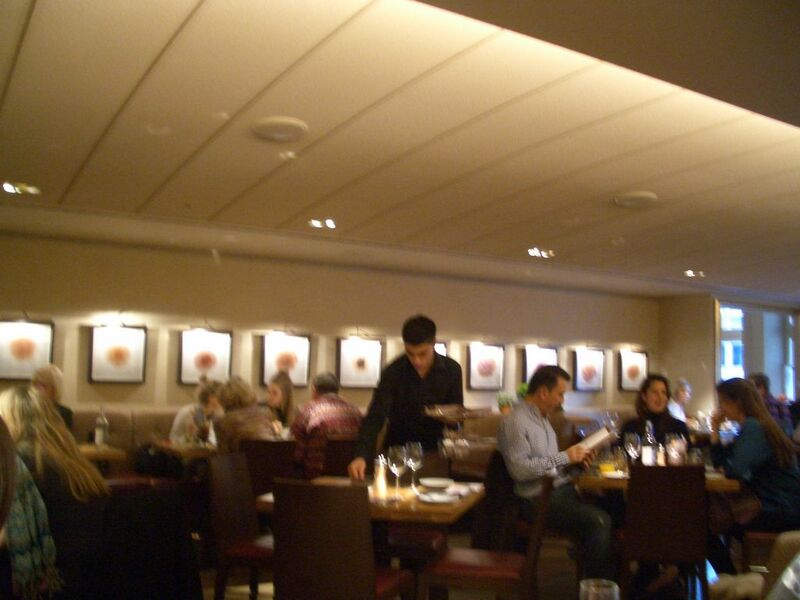 This visit was for lunch on a Saturday and we experienced a much less frantic environment than I remember. 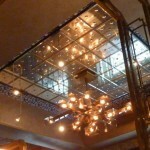 The ambience was actually very relaxing. 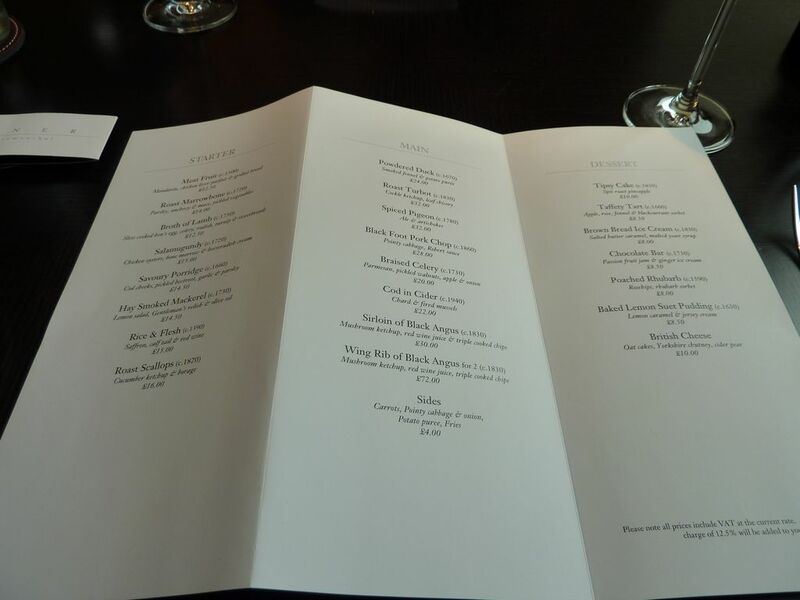 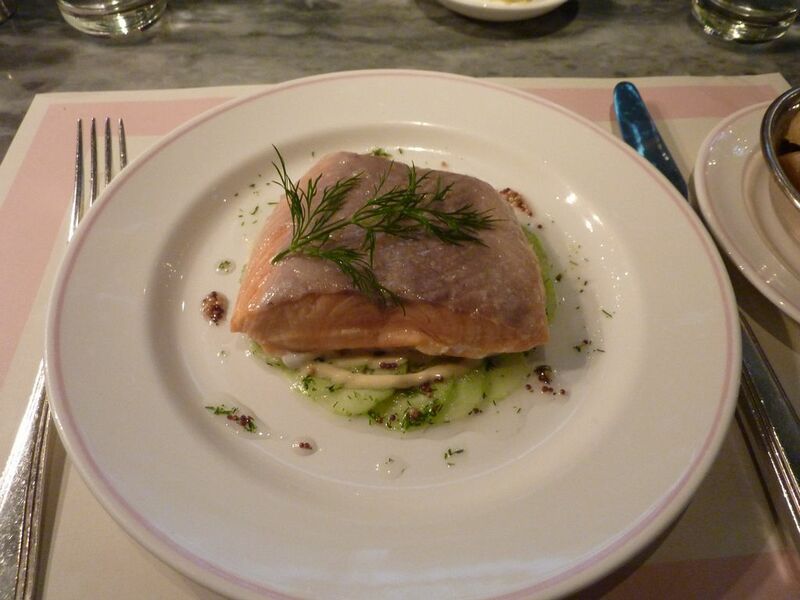 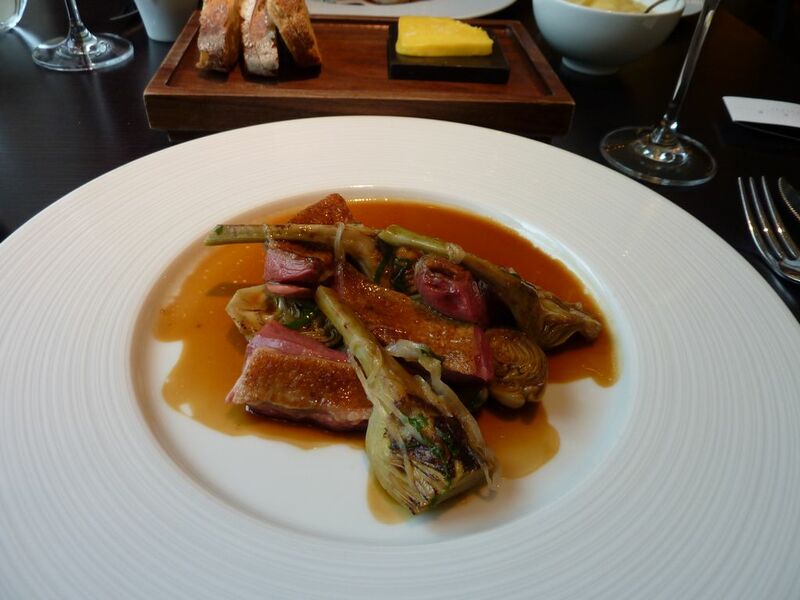 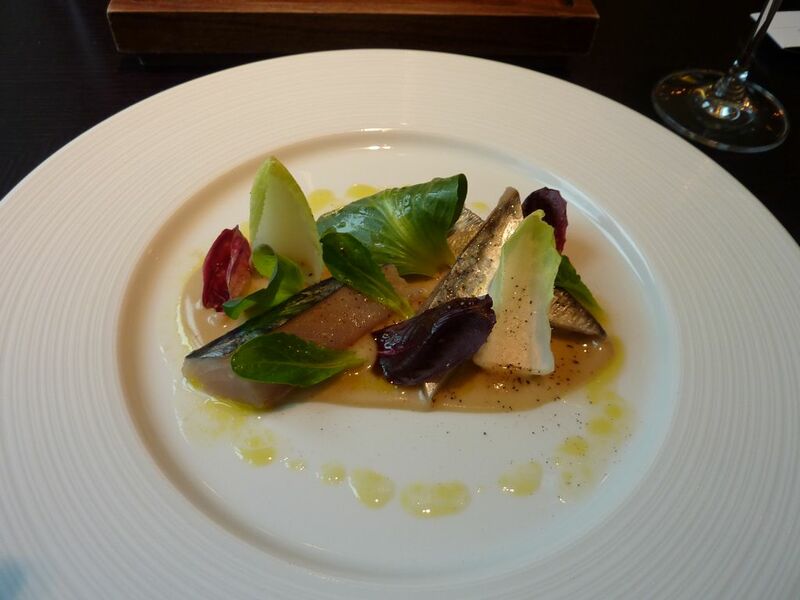 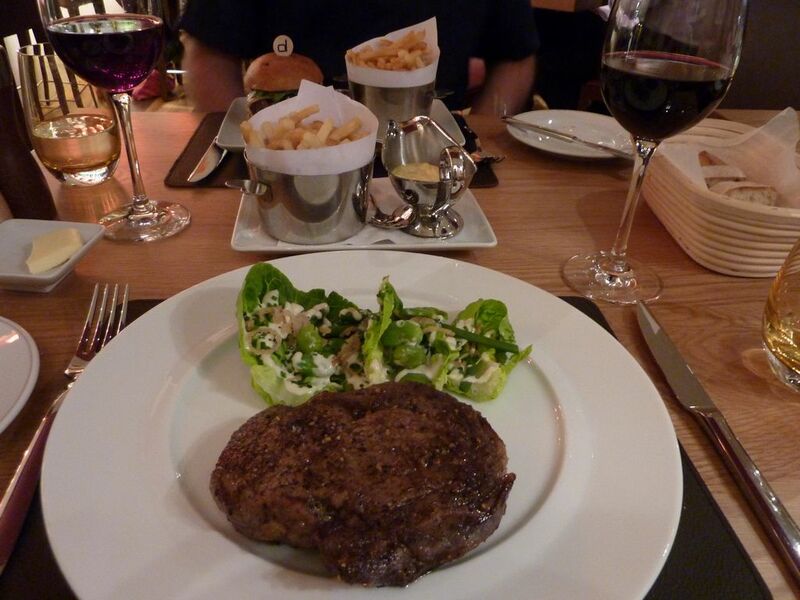 I choose from the excellent value fixed price lunch menu – seriously good value at £23 for 3 courses. 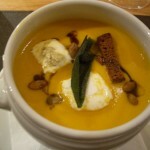 I started with a lovely creamy and tasty pumpkin soup, followed by a very tender lamb shoulder dish served with baby carrots, eggplant, almonds and apricots and finished with a quite stunning chestnut sable & mousse covered in a lovely shiny chocolate glaze served with some light and refreshing pear sorbet. 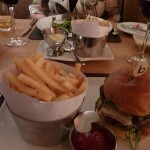 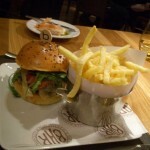 My companions were visiting Bar Boulud for the first time and quite rightly ordered the burgers. 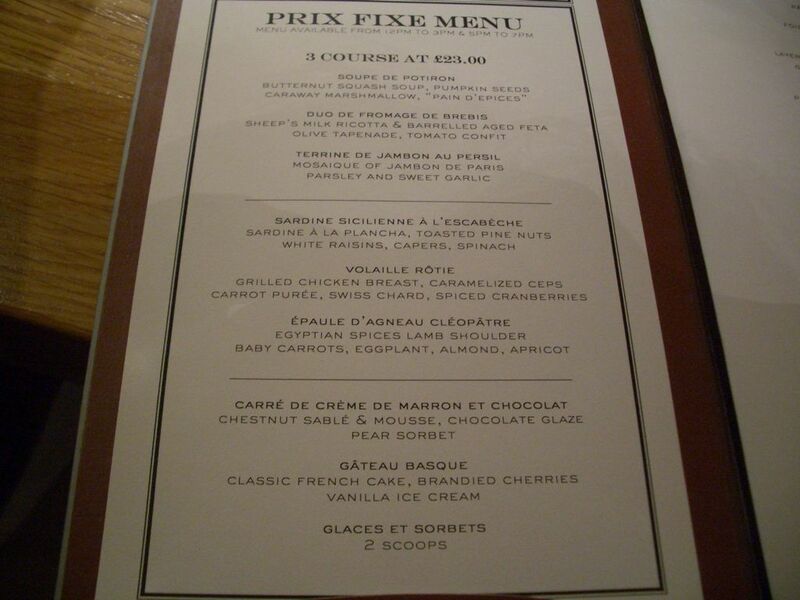 The Yankee and the Frenchie being the most popular choice. 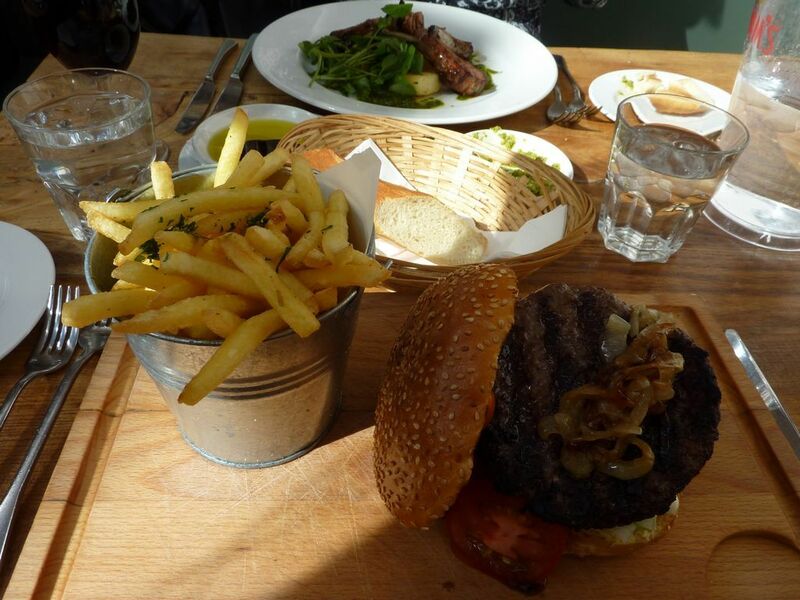 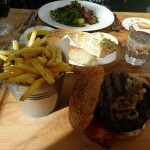 The best burgers in London was the general consensus there – great fries too. 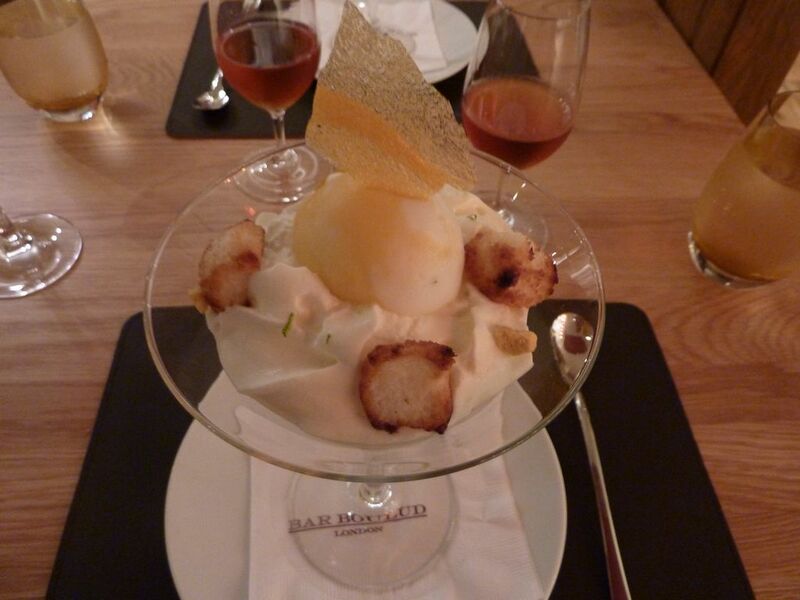 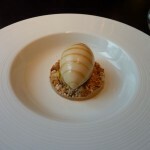 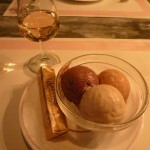 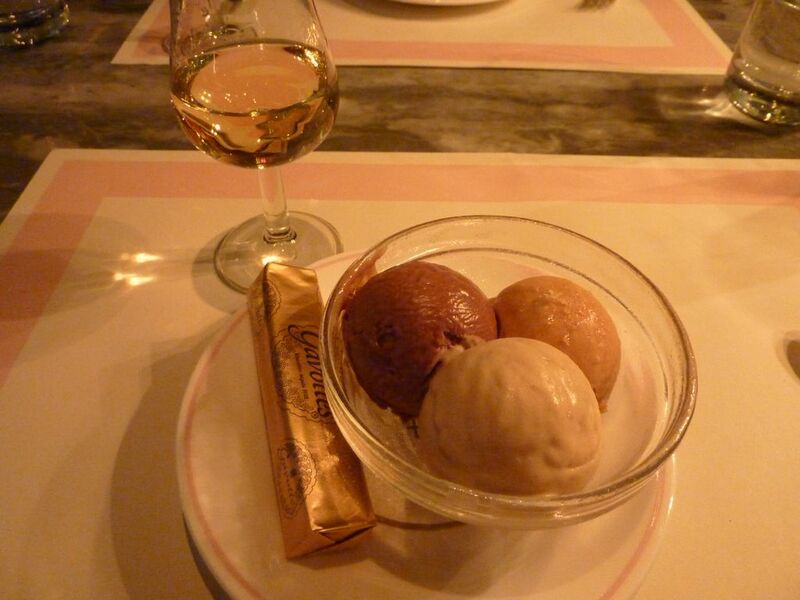 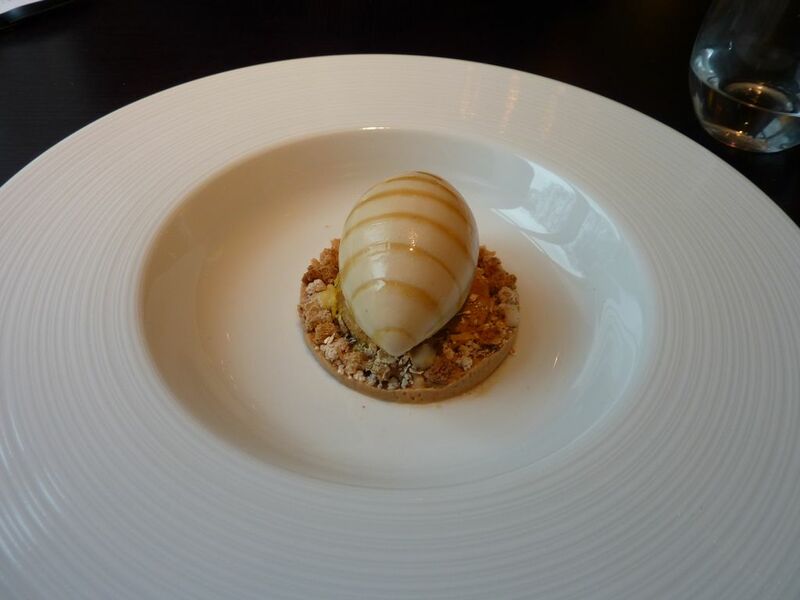 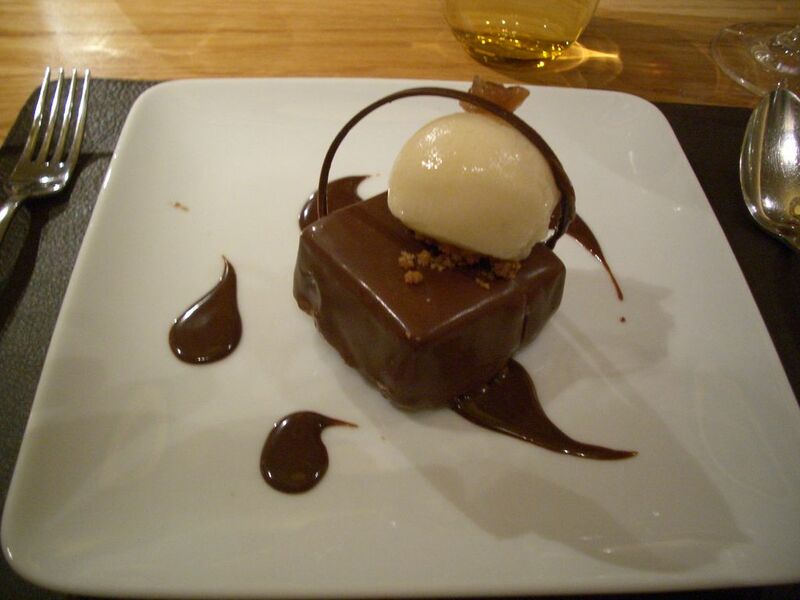 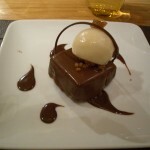 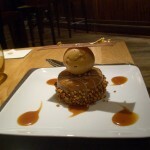 The other dessert pictured is the gâteau noisette et poire – hazelnut mousse with caramelized pears and caramel ice cream. 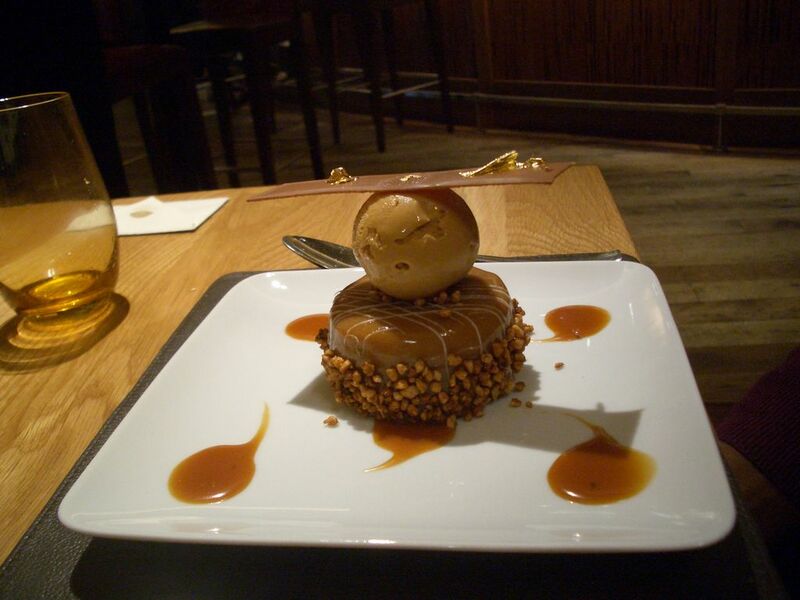 It was a stunner. 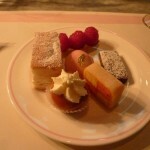 I tried very hard to resist the allure of the Mandarin Bar without success. 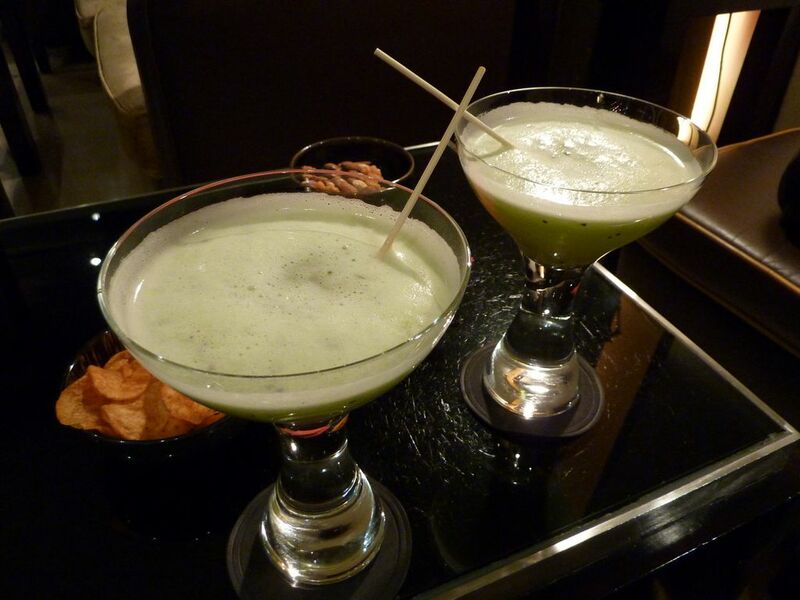 My intentions for having a reasonably priced lunch were dashed by the pricey but delicious cocktails. 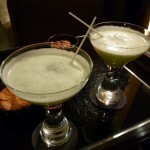 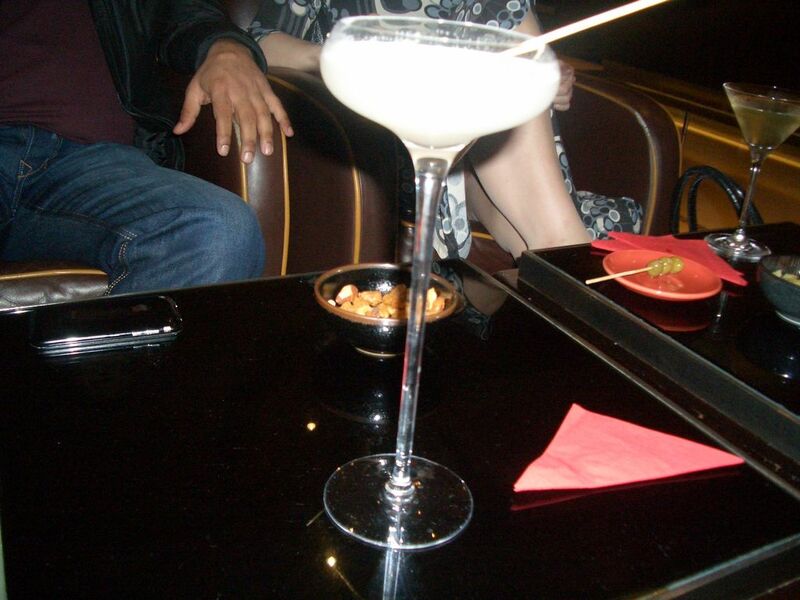 The pictured cocktail is a Lychee Martini, the cocktail menu also had some delightfully named cocktails like the Orient Expresso and the Ginny Henricks. 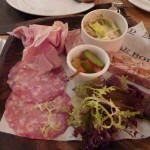 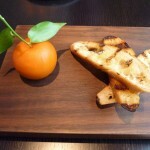 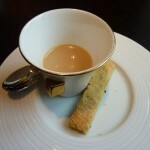 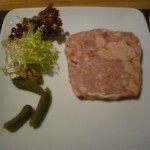 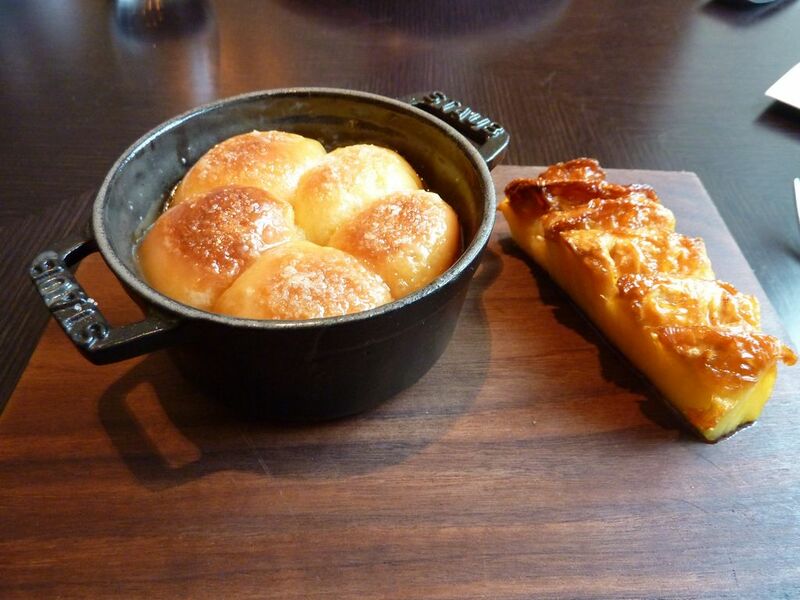 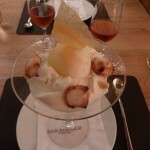 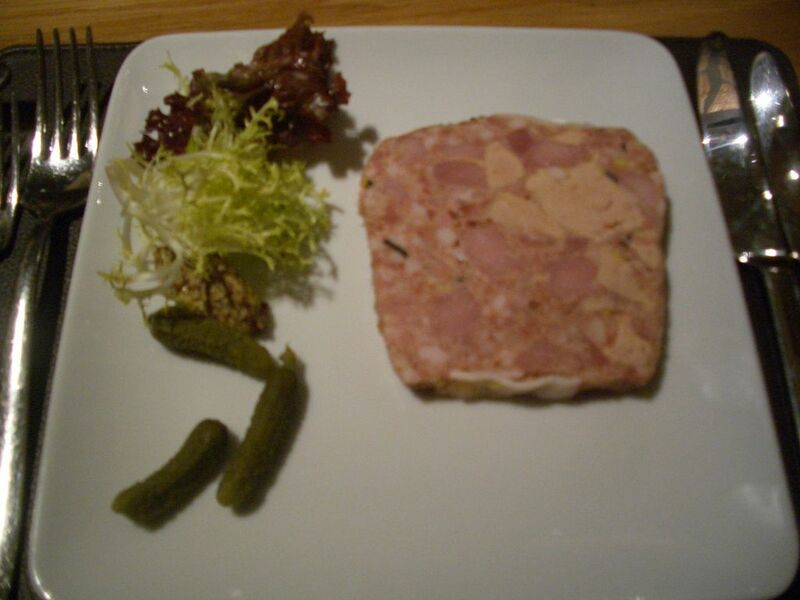 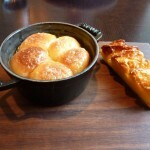 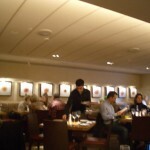 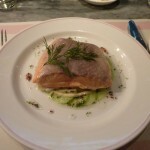 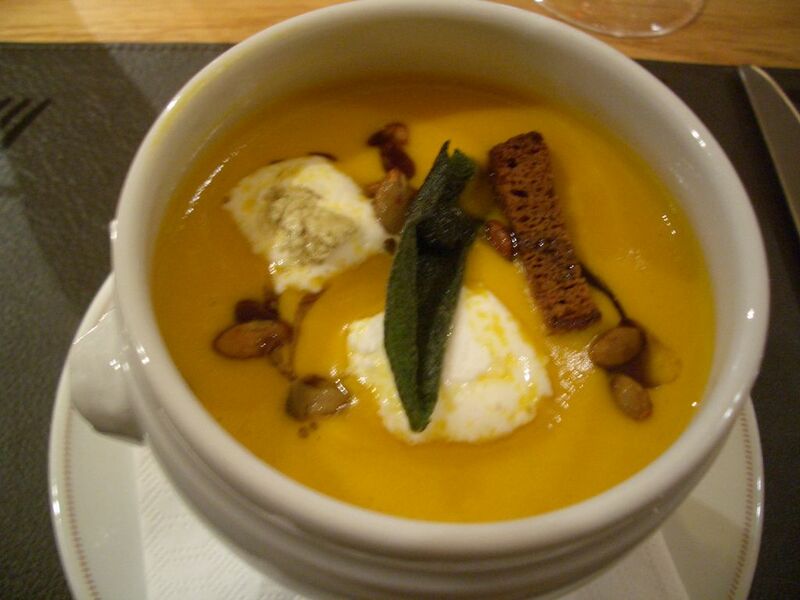 I am sure I will return to Bar Boulud again in the not too distant future. 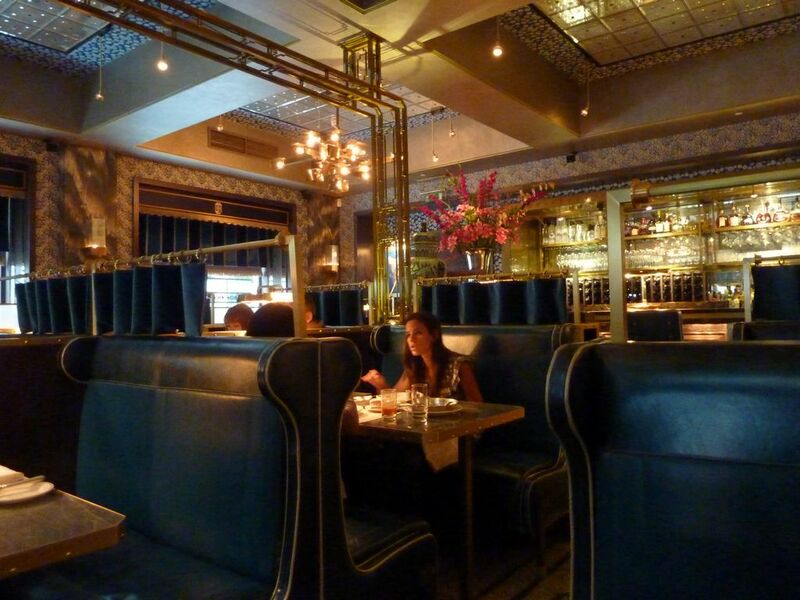 It’s such a good refuge from the hustle and bustle of Knightsbridge. 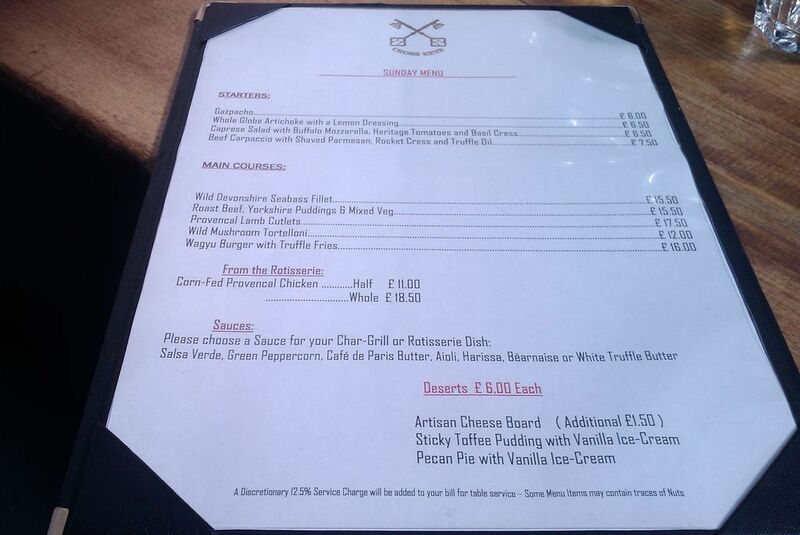 UPDATE : December 2012, returned for the good value set lunch menu (which unfortunately does not include the famous burgers). 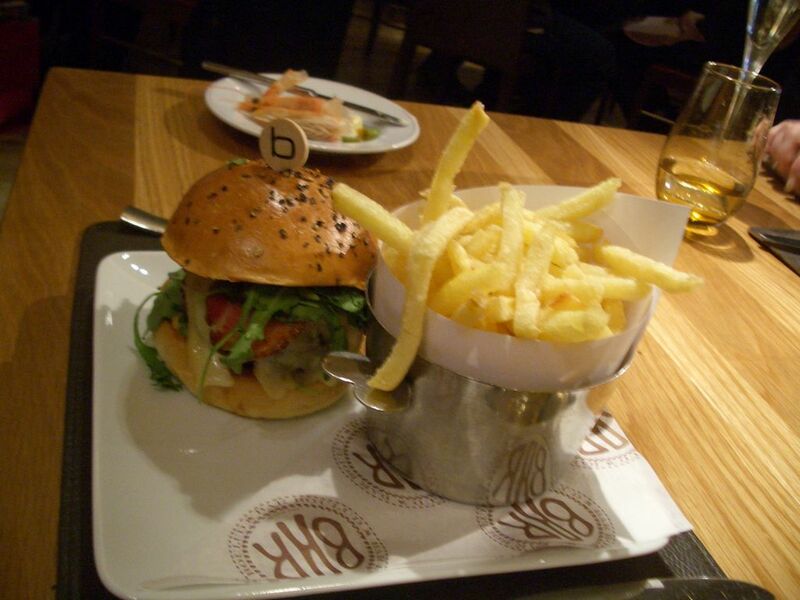 Same high standard of food and service. 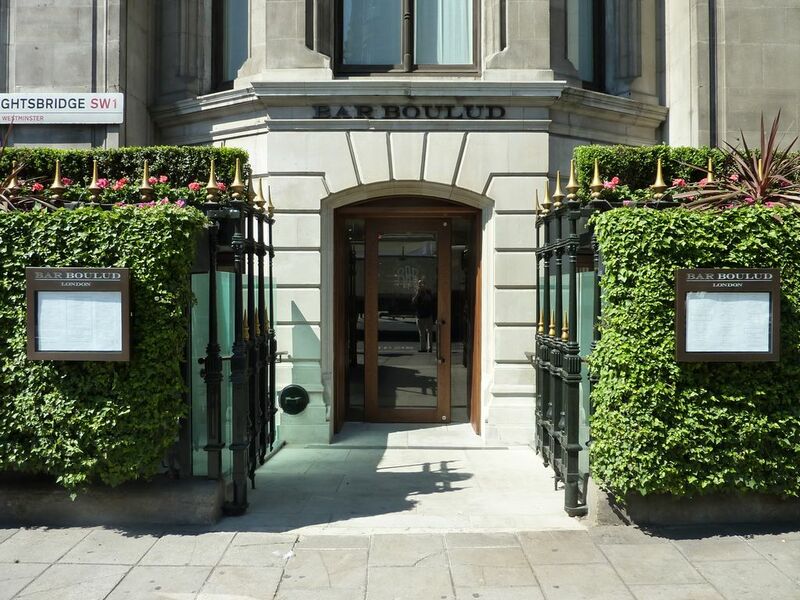 The tables are very close together, so you will find it hard to avoid a bit of people watching, we witnessed a couple of incidents where the staff were working hard handling some of the very demanding customers that frequent Bar Boulud. 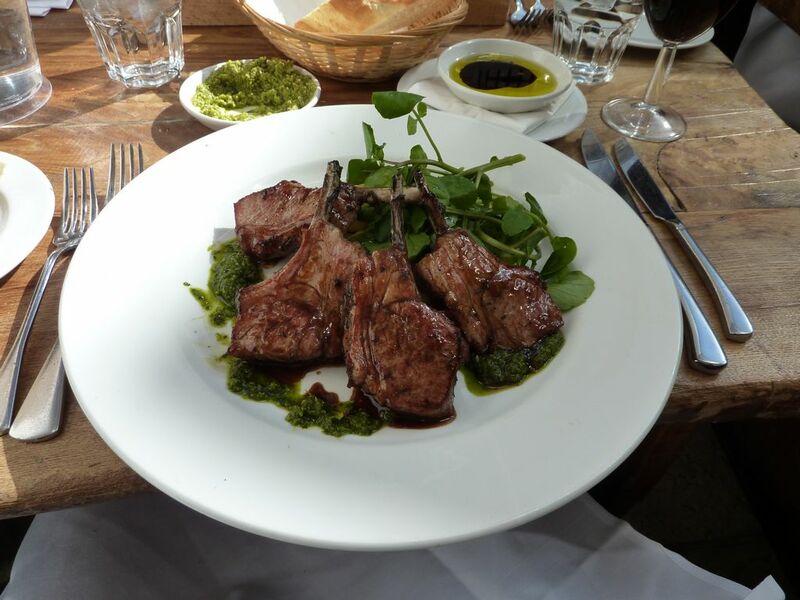 The Cross Keys is a historic pub in the heart of Chelsea. 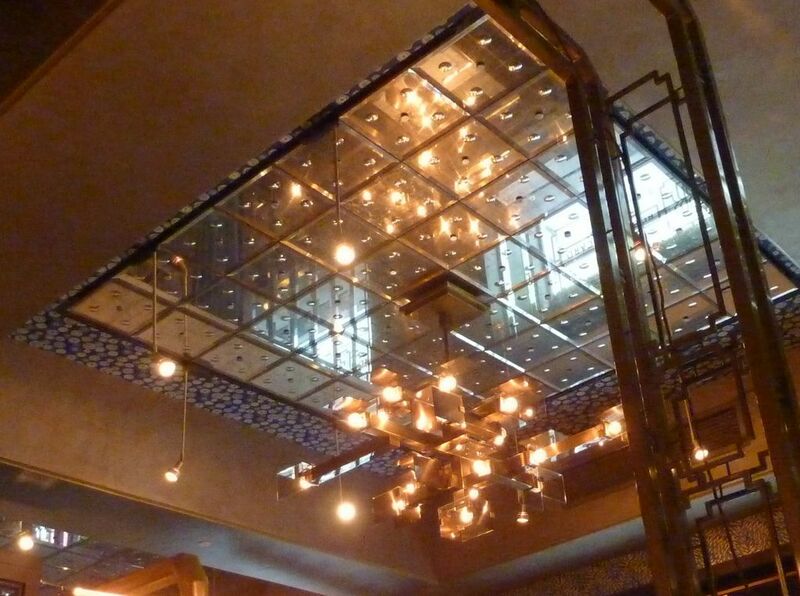 It has a couple of lovely rooms that can be hired out and a separate restaurant at the back with a retractable roof to let in the sunshine. 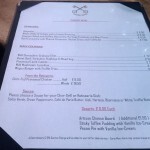 We dropped in for Sunday lunch, not realising that the pub had changed ownership earlier this year. 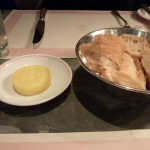 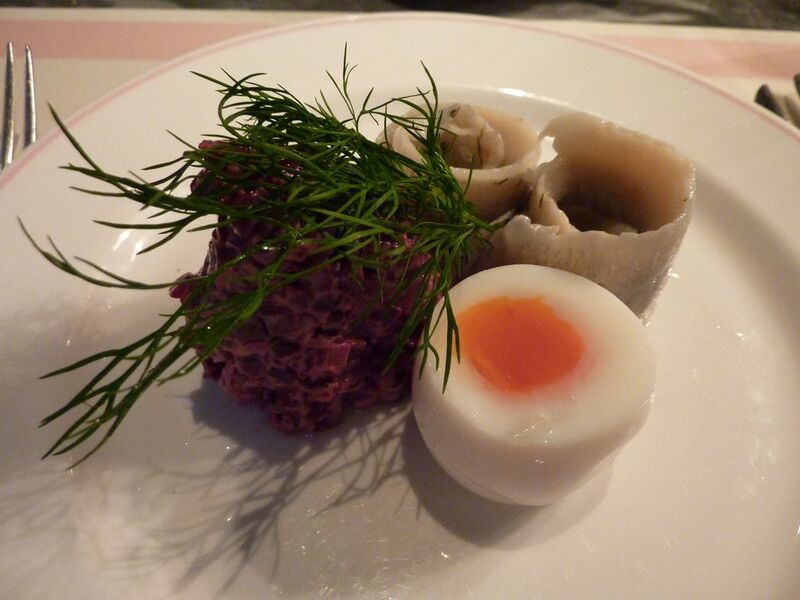 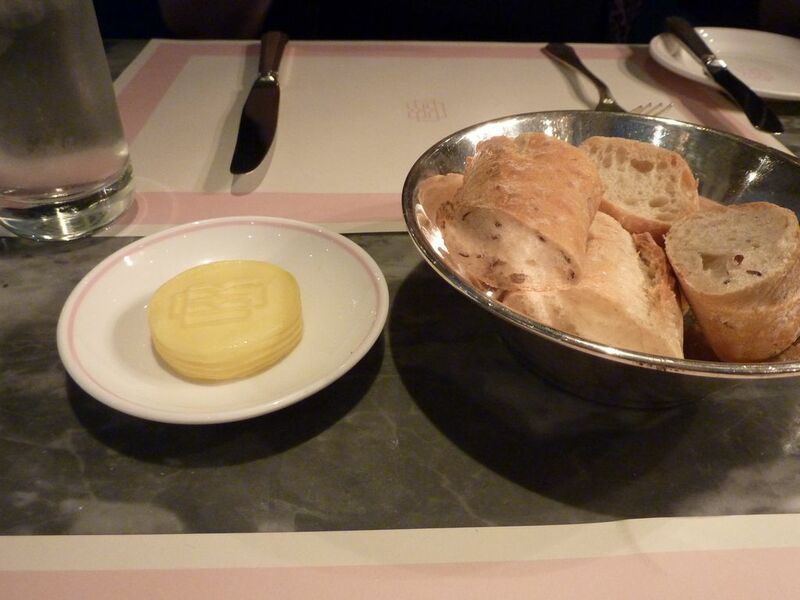 The service itself was a bit patchy, with the bread and one dip arriving first, then a second dip coming just as the main courses arrived. 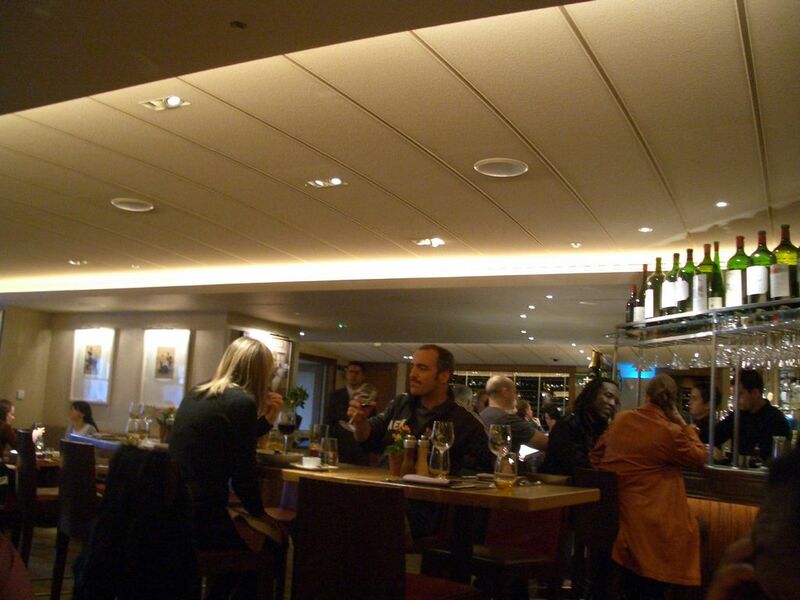 I am pretty sure the rather loud argument we heard from the serving area did not help the ambience! 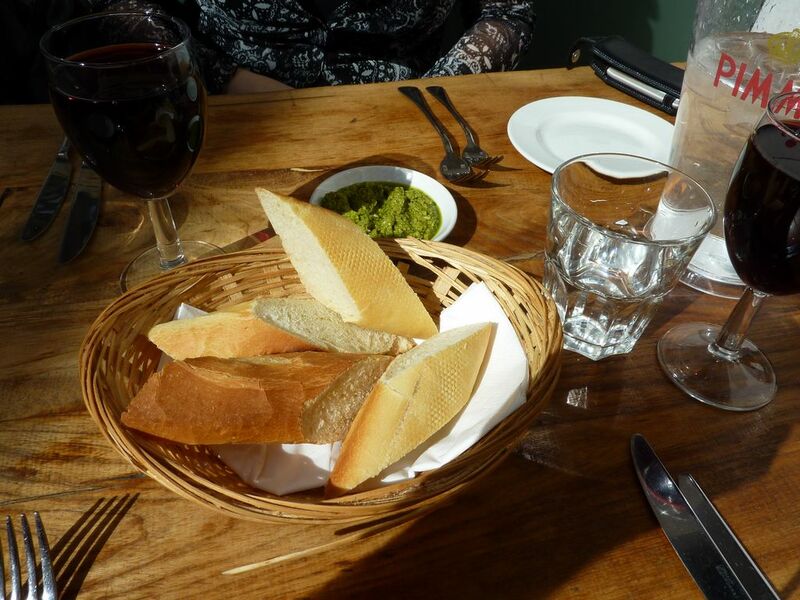 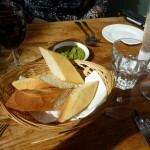 The bread with fresh pesto dip and olive oil was a good start, but the menu selection was not very exciting, none of the starters grabbed our attention, nor did the desserts. 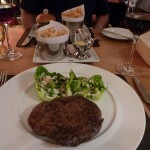 So we ended up just having main courses, specifically the Lamb Cutlets and the Wagyu beef burger with Truffle fries which at £16.00 has to be one of the most expensive burgers I have ever had. 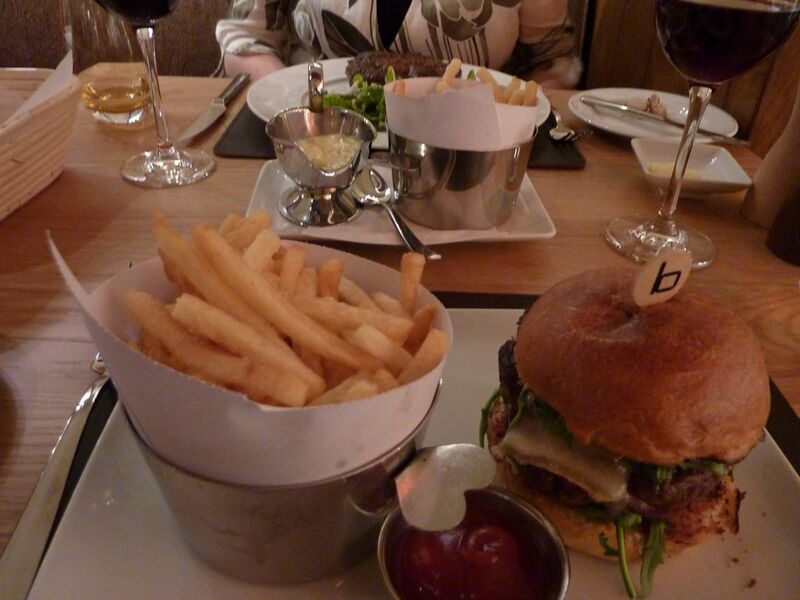 The Truffle fries were nice, but the burger was very ordinary, and served with way too much Kos lettuce. 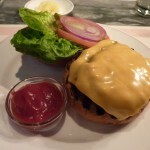 At that price I was expecting something a bit more sophisticated, like the “frenchie” burger served at Bar Boulud for example. 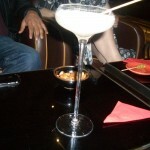 So maybe on my next visit I will just stick to drinks and bar snacks and avoid disappointment. 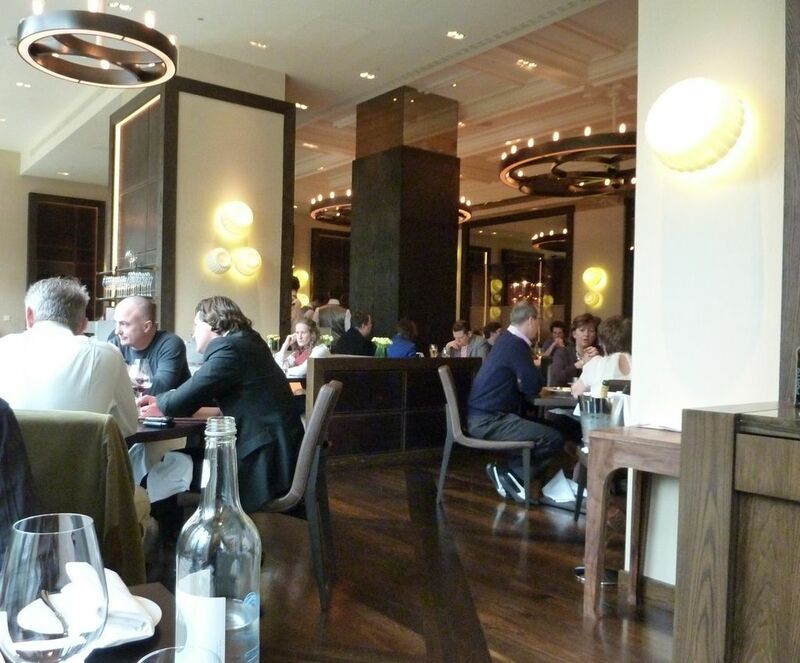 UPDATE – November 2012: Restaurant is now closed. 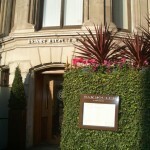 See article about Squatters taking up residence for some background information.